DPS hosts regular events throughout the year. These events are a way to bring together the Deaf, Hearing and Hard of Hearing while fundraising for our community programs. It's the Great Bus Escape! Compete for a chance to win a $500 cash prize. Teams of 2 enter the bus and work together to solve a series of riddles. You have 60 minutes to solve the clues and earn your $500 cash prize! The bus will be located at 4721 N. Elston Ave, Chicago, IL 60630 behind the Marathon gas station. Text (312) 502 2026 with any questions or concerns! Ticket prices increase as time moves on! Pay today to secure your price. No sales at the door. Join us for another night of hookah and entertainment! 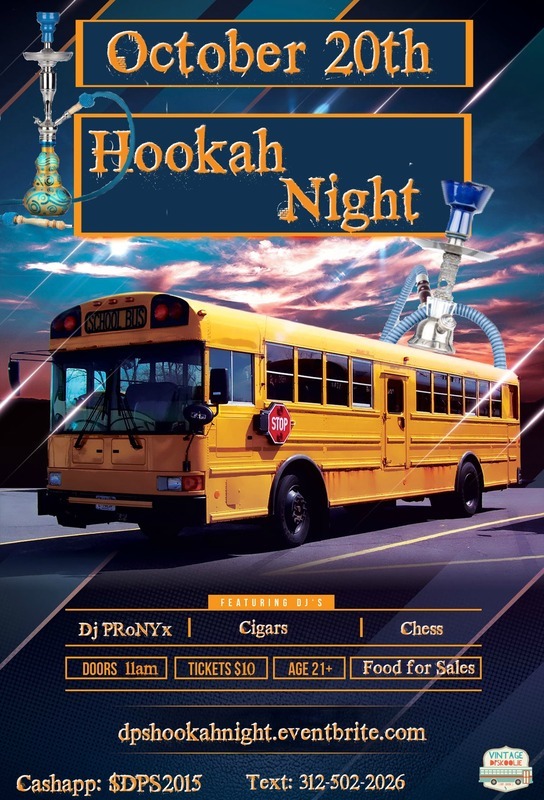 Located on the Vintage DPSkoolie, this unique event features various flavored hookahs, chess matches and music from DJ PRoNYx. Don't miss this chance to smoke with new friends while listening to new music! 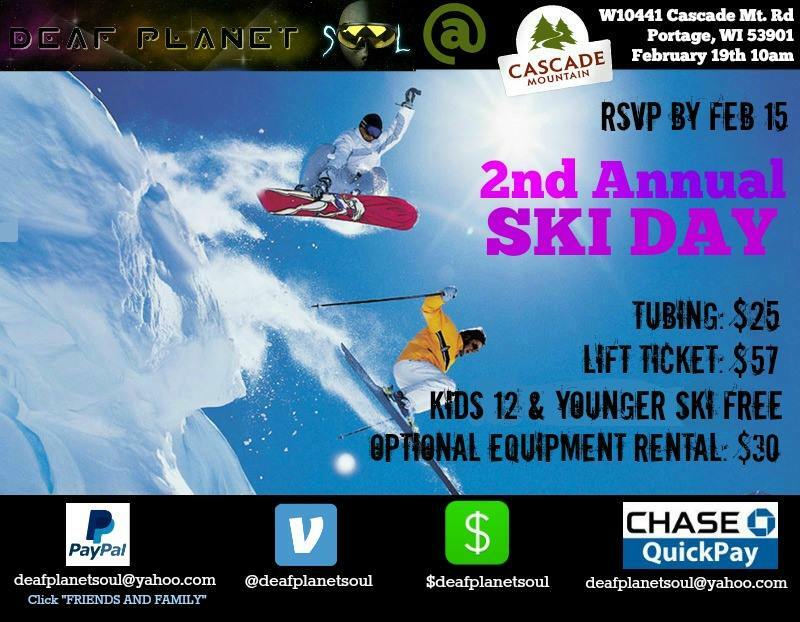 Join us for Deaf Planet Soul's 2nd Annual Ski Day at Cascade Mountain! We'll be hitting the slopes all day: skiing, snowboarding and snow tubing. EVERYONE is welcome. All ages. No skill or experience necessary. Kids 12 and younger ski free!! RSVP and pre-pay required before February 4th. 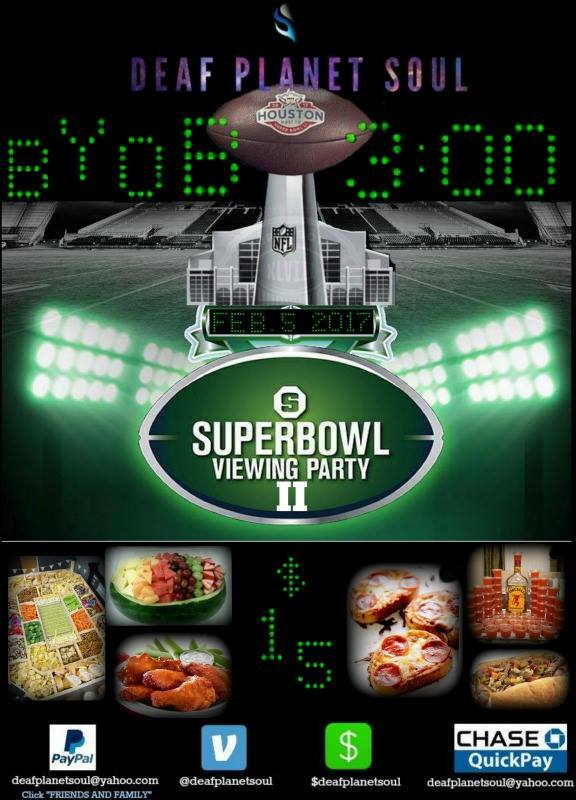 $15 includes food, beverages and 65" TV experience! BYOB. Smoking permitted on balcony. Transit: Pink/Green lines, OTC and Union Station all in walking distance. Parking is $10 for 12 hours. 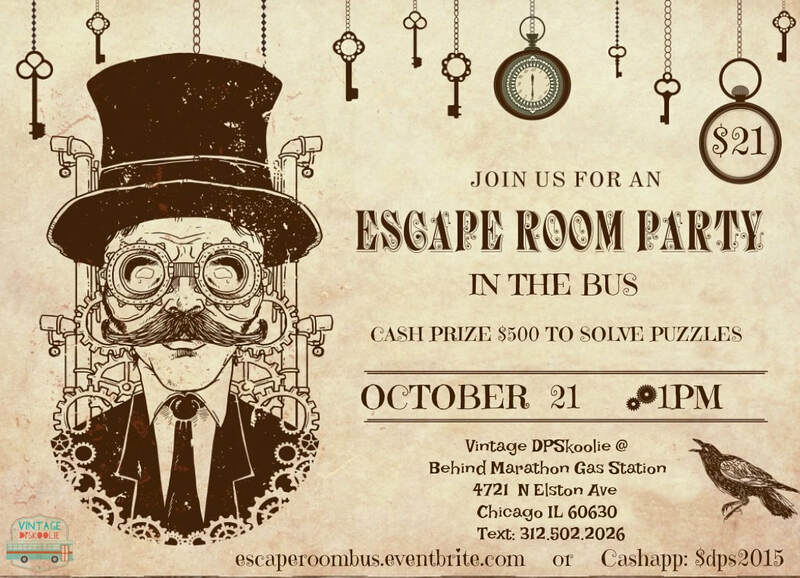 This winter, the DPS team and select VIP guests will be trapped in a room of riddles! With only 60 minutes to escape, we must solve the puzzles, find the clues and ESCAPE! 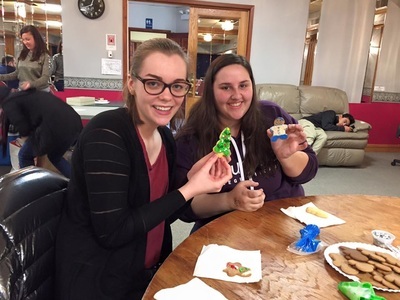 This event is designed to strengthen our team-building and problem-solving skills. Come race with us at K1 Speed! Tournament includes a 14-lap qualifying race and 16-lap final race. Medals for all winners! All ages welcome. Must be 4'10 or taller to play. Full bar and grill available. 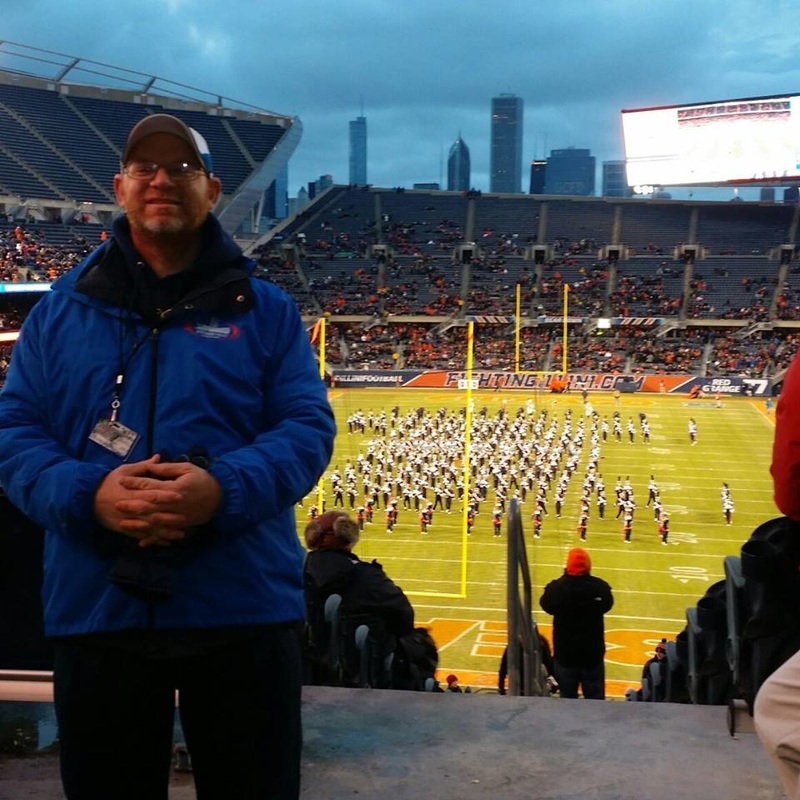 Join us at Soldier Field Fundraising (Chicago Bears) for $30 off your ticket! Limit: 20 tickets. Pay now to RSVP! Join DPS for a game of Bubble Soccer! Play soccer while wearing a giant plastic suit. Run, crash and bounce around for hours of fun. All ages welcome. Must be 5' or taller to play. $35 includes one full game. Deaf Planet Soul is hosting the adventure of a lifetime! Go Ape Adventures is a treetop zip-line obstacle course. Fly through the trees, crawl through obstacles and enjoy breathtaking views. This event was sponsored in part by Go Ape Group and Amal Law. 100% of proceeds support the DPS Community Center Dream Fund. 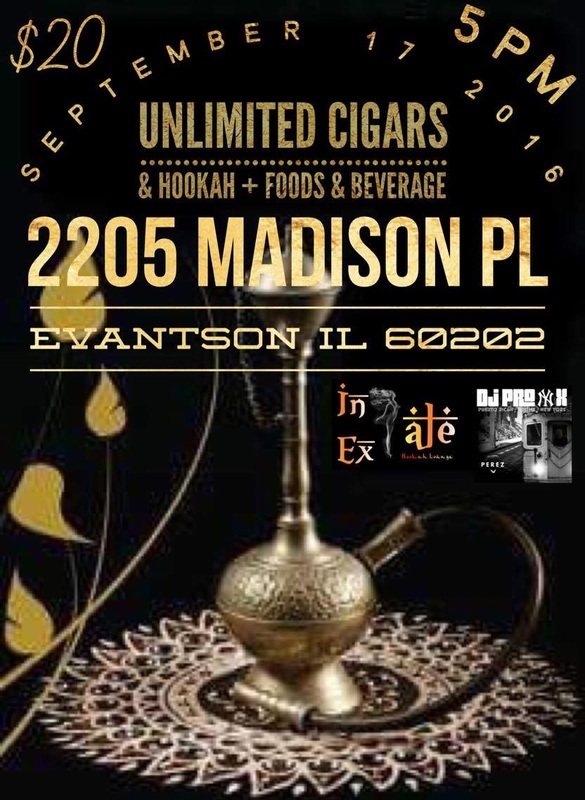 Come join us on Saturday, September 17th 5-11pm for an unforgettable cigar & hookah experience! 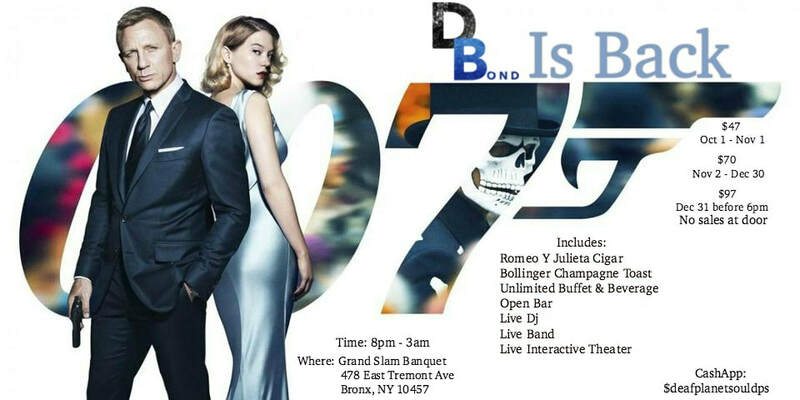 $20 per person includes unlimited flavors (tobacco or tobacco-free), cigars, food and non-alcoholic beverages. 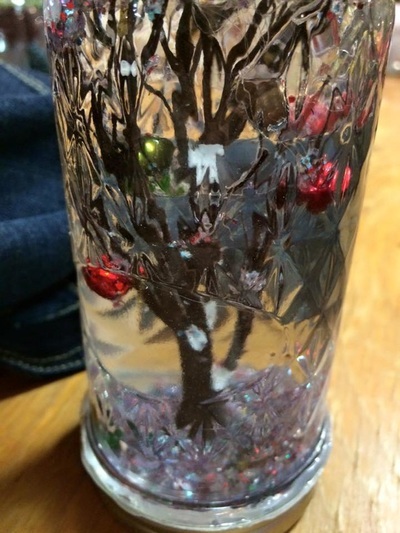 Tobacco-free options include tea leaves, herbal blends and ice melts. All designed to give you a nicotine-free and tobacco-free hookah experience. This event is for ages 18 and up. Must be 21 or older to drink. 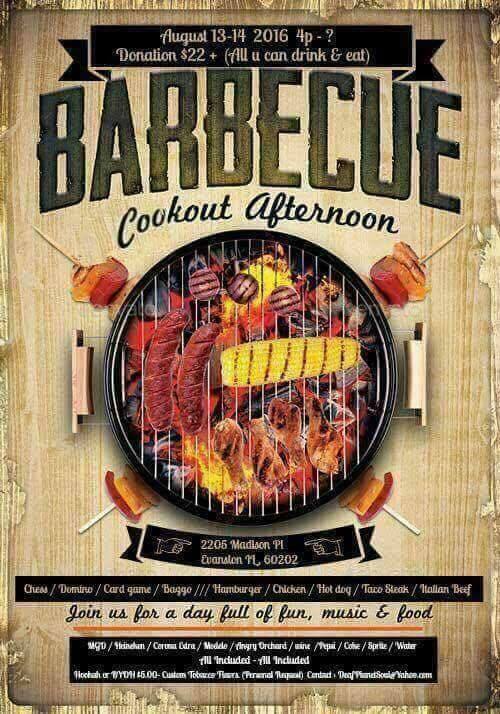 On August 13th and 14th, join our team as we celebrate the end of summer with a 2-day barbecue! This event, held at the newly renovated Derek's Bikes will follow a 2-day yard sale designed to support our Community Center Dream Fund. Price includes unlimited food and drinks (both alcoholic and non-alcoholic). Additional $5 optional for unlimited hookah with customizable flavor choices. Join DPS for an afternoon at the gun range! 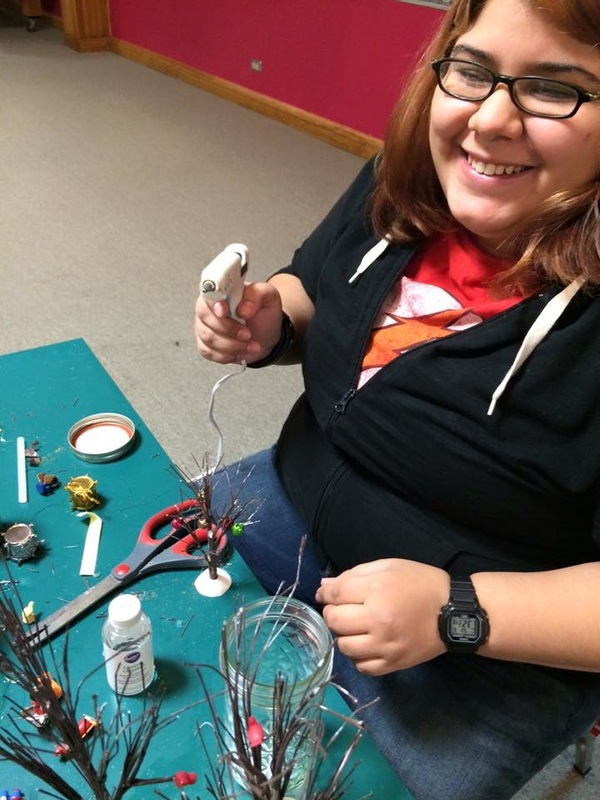 Learn a new skill, have some fun and support your favorite nonprofit all at once. $35 per person includes: range, gun rental, ammo and targets. We'll start with a safety class (interpreter provided) then get right to shooting! Limit 30 people! Pay now to RSVP. Support Deaf Planet Soul cause during the summer's most intense game of paintball! All funds support the DPS Community Center Dream Fund. Deadline to pay is June 20th ! 1st Annual Ski / Snowboard / Tubing Trip! 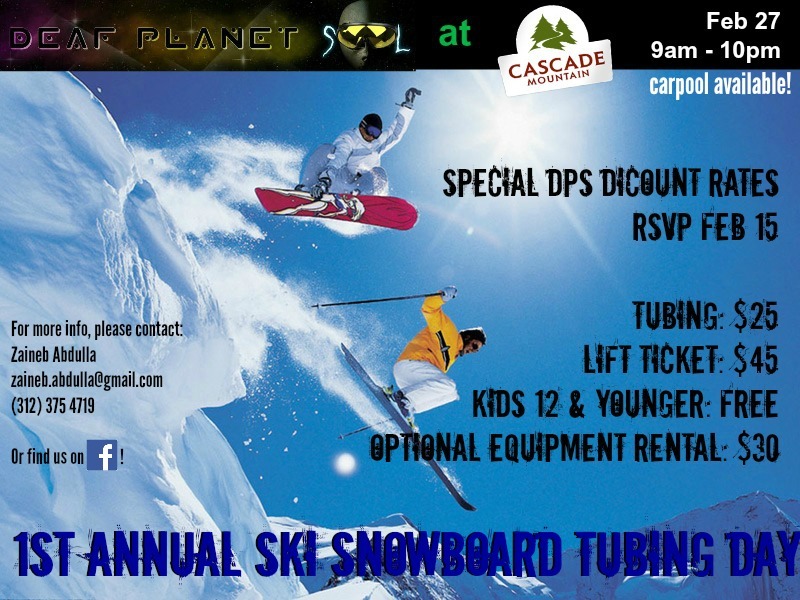 Join Deaf Planet Soul for our First Annual Ski / Snowboard / Tubing trip at Cascade Mountain! This event is open to everyone––Deaf, Hard of Hearing, Hearing and CODA/KODA––kids and adults of all ages. 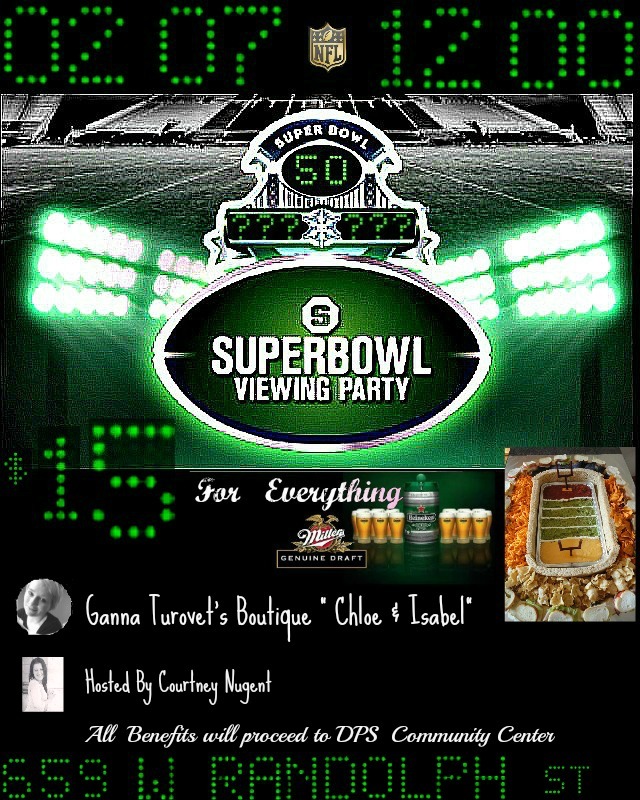 RSVP deadline Feb 15! Purchase tickets here. Come & Join Us to get the Taste of the Irish Spirit!! There's no St. Patrick if it doesn't start at bright O' Morning !! 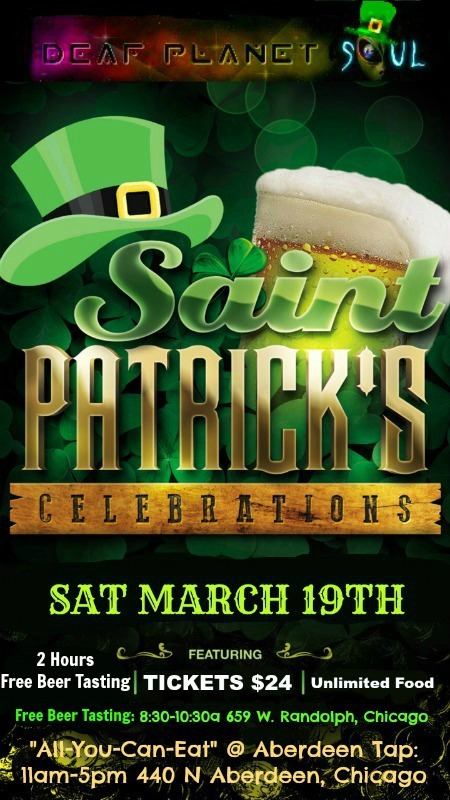 Dress up in your IRISH spirit to win $100 Cash Prize! Trivia game will be provided. Each ticket: $24 per person. Includes *All You Can Eat* at Aberdeen Tap from 11am-5pm. If you want to purchase more drinks at the Aberdeen Tap; you can!! 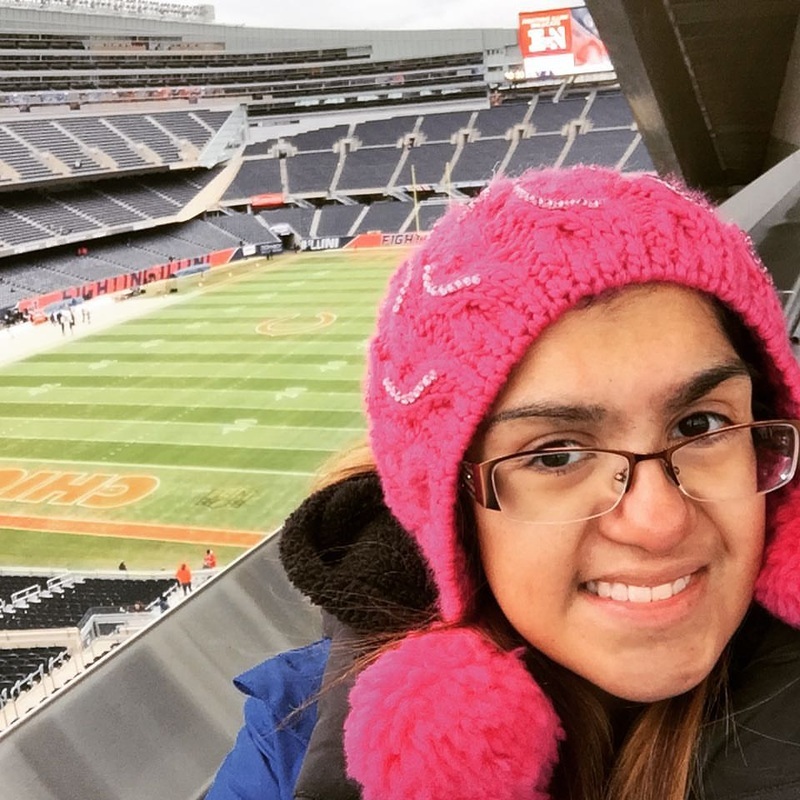 Come join us to watch 2016's most epic game! 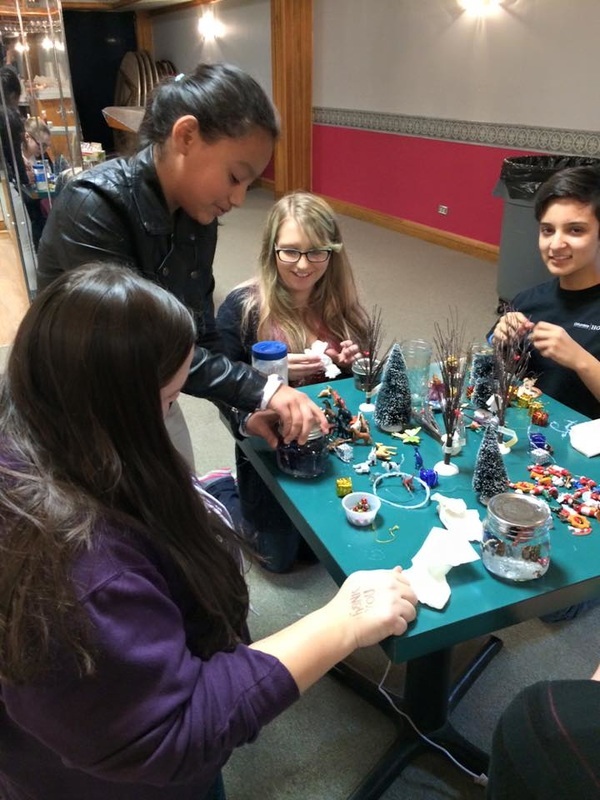 Ganna Turovet's Boutique "Chloe & Isabel"
﻿The holiday season is here and it's time to give back! Deaf Planet Soul is hosting a month-long used goods drive. 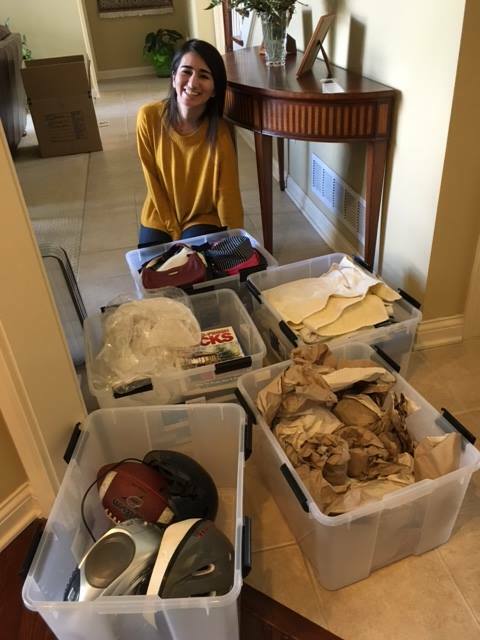 Hunt through your homes and closets and pack up those things you haven't used in ages. We accept almost anything so take a look around, gather up all the items you don't need and donate them to help struggling families in our community. To donate items, please bring bags to any DPS event, collection drop boxes (located in affiliated organizations) or contact the DPS team using the button below. 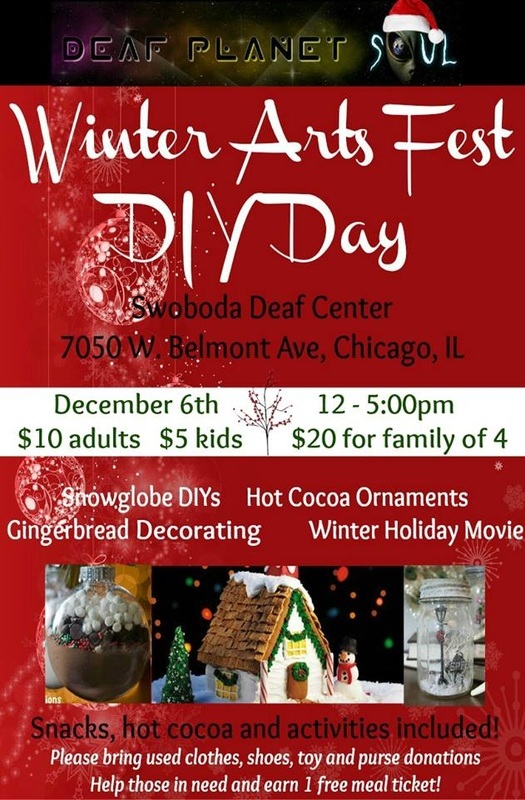 Join Deaf Planet Soul for a day of winter family fun! 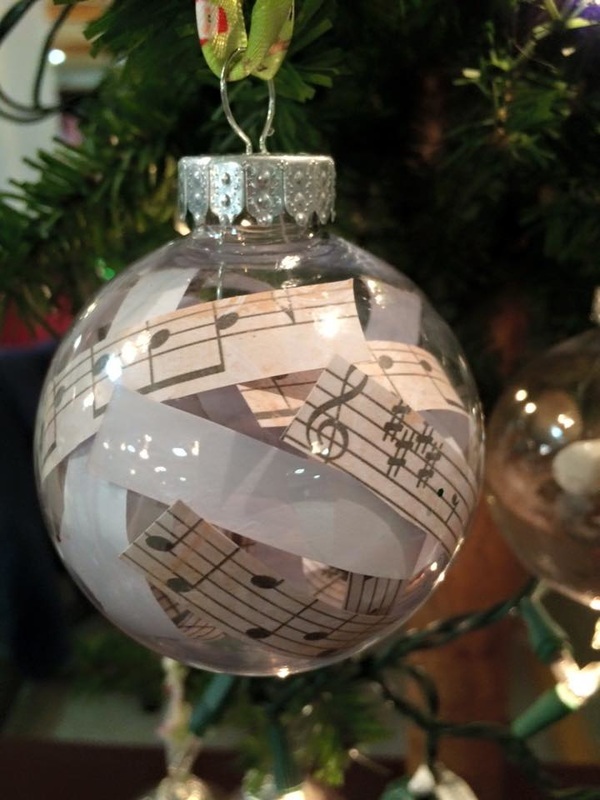 Bring the kids and enjoy our do-it-yourself projects: hot cocoa ornaments, winter snowglobes and gingerbread decorating competitions! Bring something cozy to sit on because we'll end off the event with free hot cocoa, popcorn and a holiday movie.